As you might have heard, today is International Women's Day. As a company that's for women, by women, we simply couldn't pass up the opportunity to celebrate the powerful females in our lives—and we want you to join in too. That's why we've launched the #WeAreWomen campaign, to turn the spotlight on inspiring women in our local and international communities. "As an entrepreneur, I think it's critical that our business supports and empowers women," says Who What Wear co-founder Hillary Kerr. "On March 8, that means we will proudly support International Women's Day to recognise the achievements and contributions of women. I hope that with our #WeAreWomen campaign, our efforts will remind the world that women are stronger together and demand that our voices are heard." So how can you participate? Nominate the inspirational woman in your life by using the #WeAreWomen hashtag and tagging her on Instagram. If someone nominates you, tag someone else to keep the momentum going. We can't wait to learn about the strong females in your life—see you on Instagram! 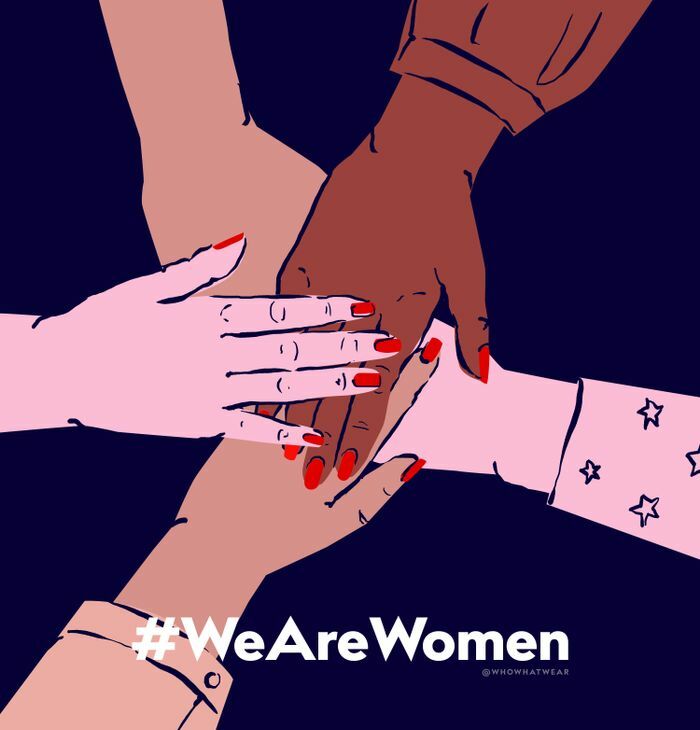 Scroll down to see Who What Wear's #WeAreWomen illustration, which you can share on your own social media accounts. How are you celebrating International Women's Day? Use the #WeAreWomen hashtag to join our campaign, and read all about these nine fashion girls who are incredible activists, campaigners and role models!